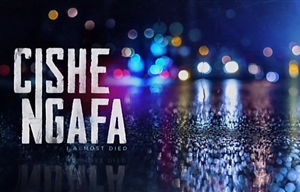 Cishe Ngafa is a South African docu-reality series which tells the stories of survivors who have escaped the clutches of death through interviews, dramatic re-enactments and archival material. For many people, the idea of death is frightening, but what happens when the harsh reality comes knocking on your door, calling out your name? These stories should have been obituaries, but because of their resilience, good luck and a will to survive, these people emerged triumphant and lived to tell the tale. Cishe Ngafa celebrates the strength of the human spirit over traumatic circumstances. In a country where crime is rife, road accidents prevalent and lifestyle medical conditions are on the rise, more than enough people find themselves staring down death in a terrifying stand-off. The true-life narratives reveal how the incidents unfolded, taking the viewers through the horrifying sequence of events, to how they survived to live another day. Some of the stories recount human trafficking, road accidents, domestic violence, a mining accident and a fire disaster, among others. Ultimately, Cishe Ngafa tells authentic near-death encounter stories sustained by the human spirit's will to survive. Produced by Barleader, the executive producers are Legend Manqele and Nonhlanhla Dlamini. Dlamini and Thabang Moqobai are the directors. CHANNEL: Mzansi Wethu | Tells the stories of survivors who have escaped death through interviews, re-enactments and archive material.